We’ve got a little minion fever here at home. After creating a minion puppet made from tissue paper tube, daughter made this minion buddies using Prisma color pencil. Inspired by this cute video. By the way, my daughter will be sharing steps on how to do a puppet minion in my next post. 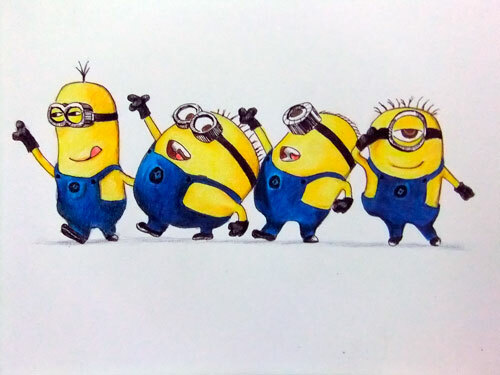 This entry was posted in Artwork and tagged despicable me, minion, minion drawing, minion puppet on July 24, 2012 by Yami.